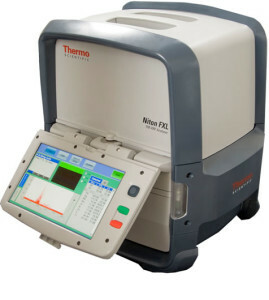 The Thermo Scientific Niton FXL Series is a field X-Ray lab in a rather small box. 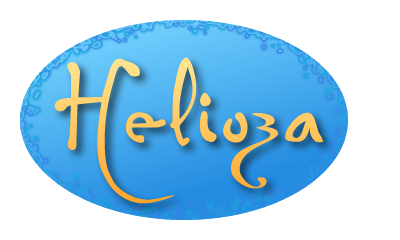 It is portable, durable and rugged. Units have 1 mm, 3 mm and 8 mm spot sizes, depending on the family member selected. A built-in camera shows the target spot with a bulls-eye circle around it for absolute targeting certainty. These units are capable of analyzing populated circuit boards and other consumer electronics assemblies. The series uses the GOLDD drift detector technology for superior results. The combination of GOLDD and a higher X-Ray excitation voltage guarantee higher intensity fluorescence emissions for greater accuracy. Test chambers include both X-Y positioning for spot analysis and a spinner for overall results. The outer shell is made of Lexan and designed to be water and dust resistant. Model 970 is recommended for RoHS compliance work. The Niton FXL 950 and 959 models are aimed at the mining industry. FXL 970 has the following features.